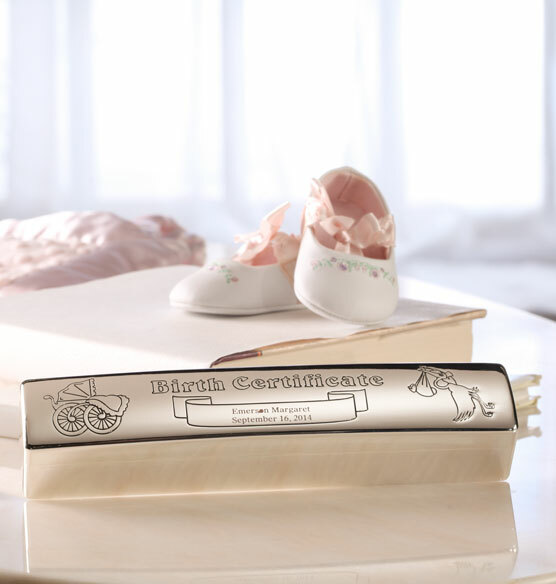 The perfect way to protect a birth certificate, this chrome personalized birth certificate box is an attractive way to store baby’s very first official document. Etched with a design and the words “Birth Certificate,” along with baby’s name, it makes a one-of-a-kind gift idea. The lid is hinged for easy opening and the interior is lined in protective felt. 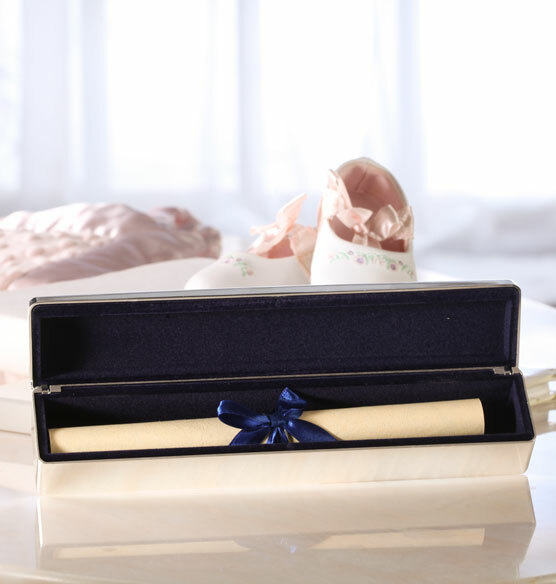 It’s an ideal gift for new parents, who will treasure this special way to display their baby’s birth document.